NetOne's mobile money platform, OneMoney, recorded a 32,7 percent increase in subscribers to 241 566 in the fourth quarter to December 31, 2018 from 181 990 in the previous quarter, latest data show. According to Zim Techreview, OneMoney has become popular through its availability on the Zimswitch network of banks, drawing on the stringent advantages, creating ease of movement of funds across the country. Active mobile money subscriptions grew 35% to 6.352 million in 2018 while the country's liquidity challenges saw the total value mobile transactions rise significantly. The fourth quarter saw growth of 1.6% in active subscriptions, with OneMoney capturing the majority of the new business. Overall the market structure of mobile money sector remained relative unchanged. The Econet linked Ecocash service remains dominant with 95.4% of the market, NetOne's OneMoney holds 3.8% and Telecel's Telecash has 0.8%. A lack interoperability between the mobile wallet services can be expected to see EcoCash maintain its position as the dominant service. Meanwhile, the State-owned mobile phone company NetOne recorded a massive growth in active mobile subscriptions in the fourth quarter of 2018, while its two rivals, Telecel and Econet, reported a marginal increase or declined in terms of subscribers, according to the Postal and Telecommunication Regulatory Authority of Zimbabwe (Potraz). In September, NetOne, posted $10 million revenue in September, the revenue was 6 percent above what was budgeted for and 18 percent ahead of the same period last year. For the 2018 financial year, it is expected that NetOne made a profit after years of making losses. In October 2018, the then NetOne acting chief executive officer, Nkosinathi Ncube, told reporters that the company's year-to-date revenue of $84 million, surpassing last year's figure by 9 percent. According to Potraz's report for the fourth quarter, NetOne's active mobile subscribers grew by 5,2% from 3 097 077 in the third quarter to 3 256 592 in quarter four. Econet's active mobile subscriptions increased by 1,9% to 8,552,289 from 8,396,728. Telecel's active mobile subscriptions declined by 12,3% to 1,100,111 from 1,254,746 registered in the third quarter of 2018. "An annual comparison shows that total active mobile subscriptions declined by 8.4% to reach 12,908,992 from 14,092,104 recorded in 2017; hence, the mobile penetration rate declined by 9.6% to reach 93.1% from 102.7% recorded in 2017," Potraz said. The regulatory body said NetOne now has a 25,2% market share which is an increase from the 24,3% recorded in the third quarter. Econet maintained its dominant position, increasing its market share to 66,3% from 65,9%. The increase of market share by the two companies was at the expense of Telecel which lost subscribers over the course of 2018. All the mobile networks recorded growth in active mobile money subscriptions with NetOne's OneMoney recording the highest growth rate of 32.7%. There was however no major change in the market share of mobile money subscriptions over the course of the year. Overall, NetOne's growth was underpinned by a direct result of a number of initiatives put in place to drive business growth, mainly the offering of customer-centric products, broadening the product and service offering and the realising of existing products, while driving subscriber acquisition. The initiatives include OneFusion introduced in May last year, offering on-net and off-net voice calls, international calls, messages, data, WhatsApp, Facebook and Twitter. NetOne has also embarked on an ambitious project, where it recruited 20 000 brand ambassadors who are aggressively registering new subscribers, replacing lines, number matching as well as marketing and selling NetOne products. NetOne has increased in the number of base stations to further improve connectivity and data accessibility across the country. 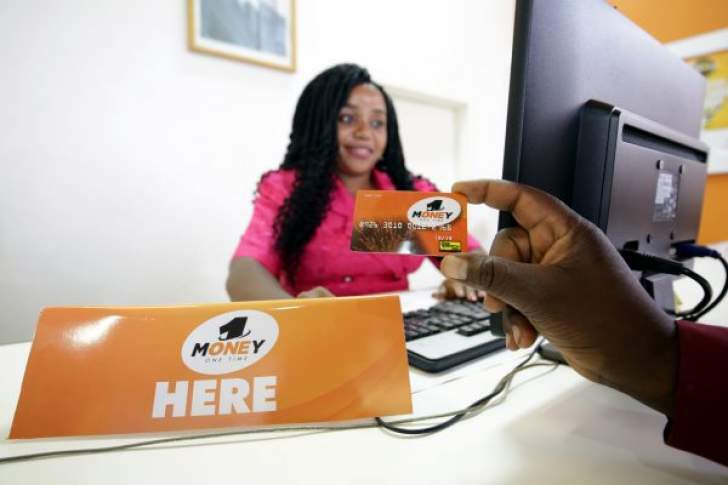 OneMoney, NetOne's mobile financial services platform, is also pressing ahead on a positive growth curve that has seen it recording a 93 percent growth in active subscribers. Mobile money platforms such as OneMoney are in sync with Government's financial inclusion mantra.